Stroll Along the Bustling Markets of Bangalore! Bangalore which is also known by the name ‘Bengaluru’ is the capital of Karnataka. It is located at an elevation of about nine hundred meters above the sea level. It is often nicknamed as ‘The Garden City of India‘ due to the presence of numerous IT companies. Besides that, the city boasts of its restaurants, food courts, shopping malls and overall a perfect place to roam around. Commercial Street is one of the bustling street markets of Bangalore. The tourists can choose from wide range of clothes, appliances, gifts, kitchen utensils and fashion accessories. It is indeed an ideal place to spend your weekend with your friends and families. 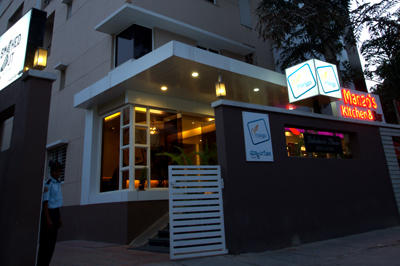 Jayanagar is one of the top places in Bangalore to hang out with your friends during weekends. The tourists can also check out some of the popular street vendor’s famous snacks, chats and tea. This market houses numerous shopping malls which are located inside the premises of this place. You can even haggle for prices with the sellers. Gandhi Bazaar is one of the liveliest street markets in the city of Bangalore. One can even purchase silk saris, home appliances and even pooja items from this place. It houses a restaurant named Vidyarthi Bhavan. They serve authentic cuisines at reasonable rates. The City Market is a whole sale market which mainly deals in fresh fruits, vegetables, flowers and other items. You can witness some of the retail vendors frequently visiting this place to purchase goods in bulk. Chickpet is one of the best street markets in Bangalore where you can obtain products at affordable rates. They mainly deal in saris, salwar suits, anarkalis, kids wear and men’s wear. The National Market which is located at Majestic near Gandhi Nagar in Bengaluru sells clothes, accessories and electronic gadgets such as smart phones, handy cams, tablets and MP3 Players. Malleswaram Eight Cross consists of numerous shops and vendors dealing with fresh fruits, vegetables, handicrafts, kitchen utensils and clothes. The Brigade Road in Bangalore contains myriad of shops selling branded accessories such as T-Shirts, Wallets and Watches. It is one of the popular hangouts for both the locals as well as the foreign tourists. The Indu Dubai Plaza is suffused with stalls selling clothes, shoes, cosmetics, wallets, bags and other accessories. There are wide varieties of options for a budget shopper. No visit to Bangalore would be complete without visiting some of the above mentioned street markets in the city of Bangalore. For those who wish to ensure a luxurious stay in a three star hotel at Bangalore may immediately book their rooms at Mango Hotel Koramangala. This three star hotel guarantees a relaxed stay for all the guests. It is an ideal place to lodge in for business travelers as well as budget back packers. It provides an easy access to various points of interest in the city of Bangalore such as Indiranagar, Sarjapur, Old Airport Road, Methodist Church and Ayyappa Temple. The guests can also explore some of the top botanical gardens in Bangalore like Lal Bagh, Lumbini Gardens, Cubbon Park and Banerghatta National Park. Some of the basic facilities offered by this hotel include Wi-Fi connectivity, audio visual equipment, and conference hall to organize and conduct corporate meetings. They have got well equipped air conditioned rooms with free internet access, attached bathroom and laundry. Prashant Holiday Create a free website or blog at WordPress.com.